Iceland Winter Extravaganza with Northern Lights! 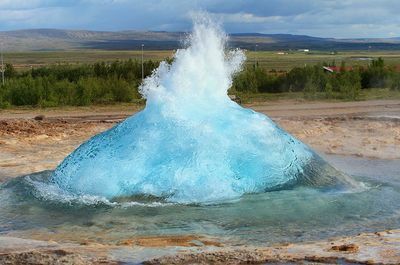 ​This exclusive guided group tour for WOMEN ONLY with two full free days offers an exciting combination of Iceland’s culture, history, natural wonders and the extraordinary Aurora Borealis. During the day, your expert local guide will show you the top attractions in and around Reykjavik, the South Shore, the Blue Lagoon and the Snaefellsnes Peninsula in all of their winter glory. 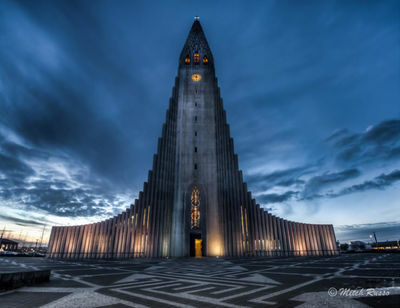 At night, you can relax with your fellow travelers at your city-center hotel, chase the Northern Lights, partake of Iceland's extraordinary cuisine, or trip the light fantastic in some of the most exciting nightclubs in Reykjavik. 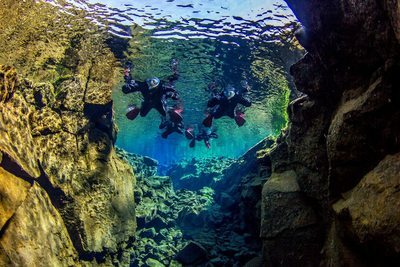 ​With your two full free days for independent exploration, take advantage of activities and adventure such as snowmobiling, ice-caving, or even diving in Silfra at the tectonic plates where you can touch the Eastern and Western Hemispheres at the same time! 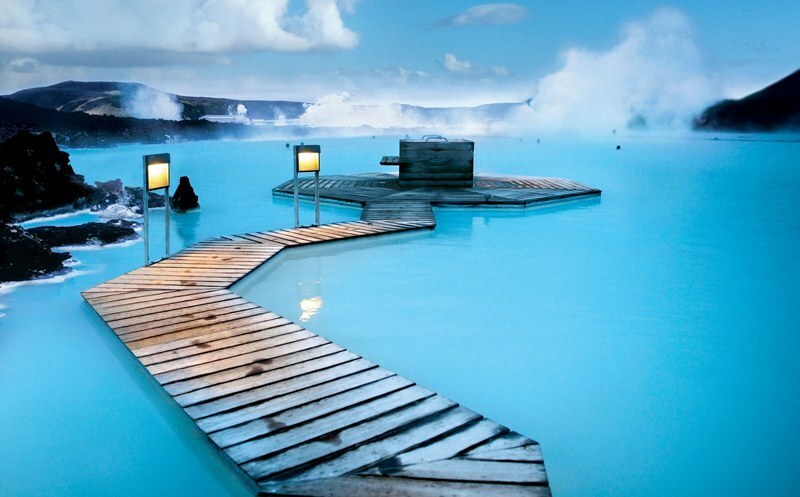 You may want to spend an additional day at the Blue Lagoon partaking in an "in-water" massage, shopping in downtown Reykjavik or horseback riding. The possibilities are simply endless! We'll be sure to provide you with a complete list so that we can pre-arrange your optional excursions before departure. 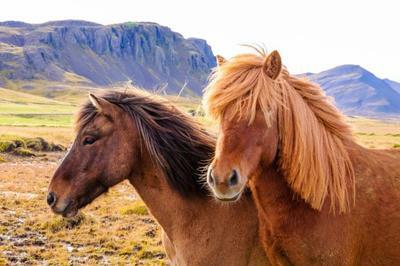 This exclusive group tour to Iceland has been hand-curated and designed to ensure that you maximize your time as you visit some of the most beautiful scenery and history in the world. With our local guides and our Groupit Travel Tour Leaders, you will not have to worry about a single detail - pampering and taking care of you is our specialty! Icelandair offers direct, nonstop flights from multiple cities in the US and Canada. We'll be happy to assist you in making your air arrangements! Prices are EXTREMELY ATTRACTIVE in December from North America. All pricing, availability and promotions are subject to change without notice until your booking is confirmed with a deposit. All deposits are 100% non-refundable. Valid passports required with a minimum of 6-months available prior to expiration. Minimum age for this trip is 16 years of age. Pre-existing conditions waiver included when purchased within 14 days of initial deposit. Travel Protection rates will increase with additional non-refundable purchases such as airfare and optional excursions. Welcome to Iceland! You will be met by your guide in the Arrivals Hall who will take you to your private motor coach. 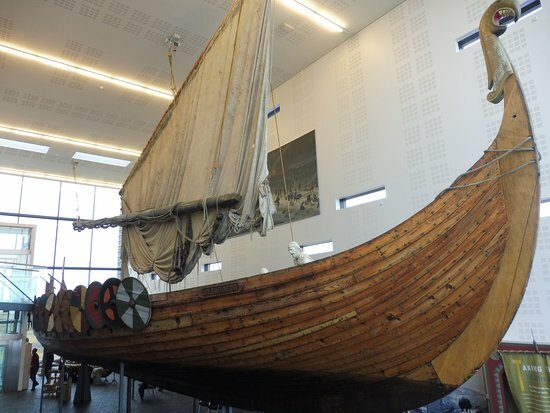 The route leads from Keflavik airport to a local exhibition museum displaying the Viking Ship Icelander (Islendingur) where you will enjoy the exhibition as well as breakfast to regain some energy after your flight. After breakfast, it is onward to the northernmost capital in the world, Reykjavik. You will begin with a city sightseeing tour in Reykjavik where more than one-third of Iceland's population lives. During our tour, we will see the old town center, the Parliament, the Cathedral, the harbor, the Pearl, the National Museum and Hofoi house, the summit site of 1986. We'll drive past the city's salmon river, an indication of Reykjavik's low pollution levels and the Arbaejarsafn outdoor folk museum, which offers an interesting contrast to the modern buildings of the most recent part of Reykjavik. 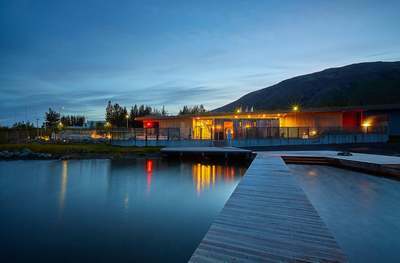 Our drive continues past Reykjavik's largest outdoor swimming pool in Laugardalur which is heated with water from natural host springs under the city, the Asunder Sveinsson Sculpture Museum and the hallgrimskirkja Church. 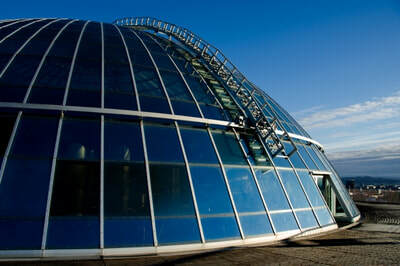 After getting to know Reykjavik, we will head to our hotel where we will check-in. The rest of the day is your at leisure before we depart for our dinner at a local restaurant. After dinner, let's chase those northern lights! After breakfast, we will be picked up for day on The Golden Circle. Our full-day tour of the southwest of Iceland will include three of the best known attractions in Iceland: Gullfoss (The Golden Waterfall), one of the most impressive waterfalls in Europe with thousands of tons of icy water thundering majestically into a deep canyon; The Geysir Area, with numerous hot springs, fumaroles and geysers, including the 30-meter spouting world known as Strokkur; and Thingvellir, a remarkable geological site and a historic site as well. This is the site the world's oldest Democratic Parliament founded in 930 and the beautiful canyon running through the park is actually the dividing faultily between two the earth's tectonic plates. Along the way, we will stop at Frioheimar - a tomato greenhouse farm that offers a tour around the green house which is heated by geothermal energy, as well as an Icelandic horse show. Before we head back, we will stop at the Fontana Wellness Center and enjoy a relaxing soak at the Fontana baths. You can enjoy the steam that comes directly from the ground, soak in the relaxing pool or take a dip in the lake. We will then return to our hotel and get ready for dinner at a local restaurant in Reykjavik. Today, enjoy a free day to explore independently. Remember - we will help you arrange any optional excursions you may wish to enjoy. 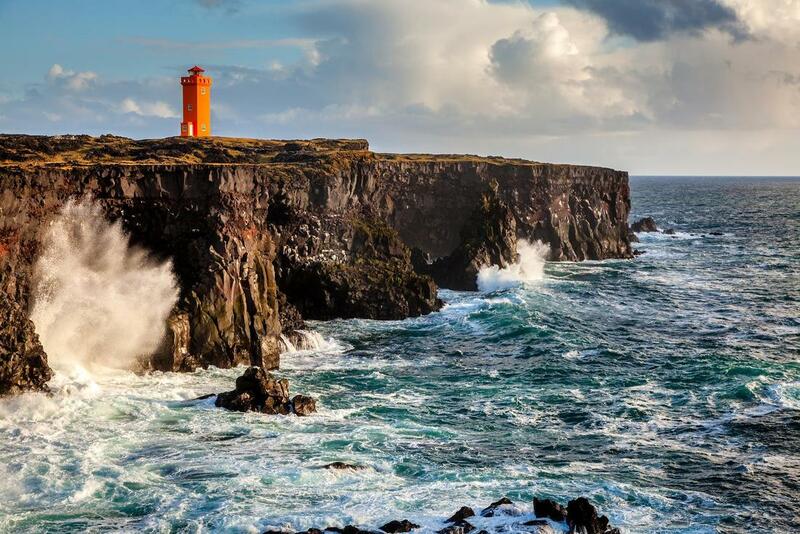 Today, after your buffet breakfast at the hotel, we are departing for the breathtaking Snaefellsnes Peninsula. The main attraction of the Peninsula is without a doubt, the Snaefellsjokull Glacier, a beautifully-shaped strato-volcano. The glacier is the setting of Jules Verne's novel "Journey to the Center of the Earth". It is also one of the seven most energy-filled sites on Earth. 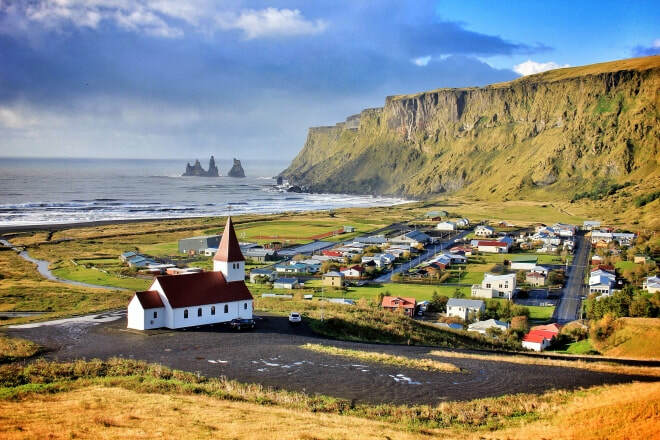 Snaefellsnes continues to inspire great works of art to this day, most recently when Ben Stiller filmed parts of his blockbuster, "The Secret Life of Walter Mitty" here, notably in the charming village of Stykkisholmur. Buori is a very impressive area where you will be able to walk in a unique landscape with a mixture of sandy hills, black lava and yellow beaches. Arnarstapi offers a great opportunity for a walk along the sea cliffs, where you can see spectacular columnar rock formations that are nesting places for seabirds. We will then head on to Djupalonssandur's black-pebbled beach before continuing around the scenic peninsula on our return to Reykjavik. We'll have some time to freshen up before our dinner at a local restaurant. You deserve another free day to explore Iceland. But remember to be back by the time appointed for our unbelievable culinary opportunity at the exclusive Grillmarket for our Chef's Tasting Dinner with wine. After breakfast at the hotel, we will depart for the South Shore, one of the country's most scenic regions. Along the way, we will stop at the gorgeous Seljalandsfoss waterfall, where you'll be able tot walk behind it and through to the other side. 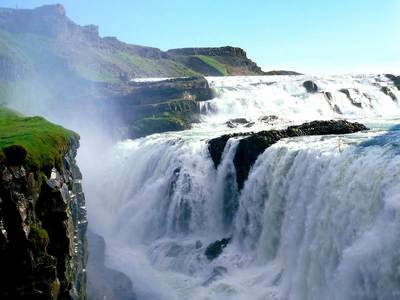 We will also stop at the majestic and much-photographed Skogafoss waterfall with its its 60-meter drop. 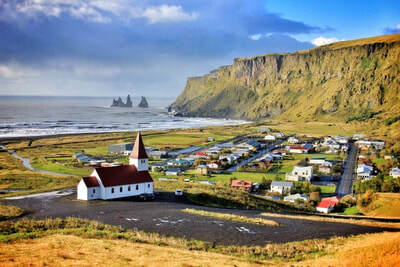 Visit Vik, a charming village surrounded by beautiful high bird cliffs. Enjoy other highlights such as the stunning Myrdalsjokull glacier, the back sand coastline and the impressive Reynisdrangar rock formations. Tonight, dinner is on your own. This morning, it is time to enjoy your breakfast and check-out of our hotel. Our private motor coach will pick us up 6 hours before our flight departures. We will head to the Blue Lagoon for a day of relaxation and reinvigoration before we depart on our transfers to the airport.